so its been a while since we threw one of the OSA special all dayers. Theme for the next one is 1992 - arguably the pinnacle of the oldskool era. 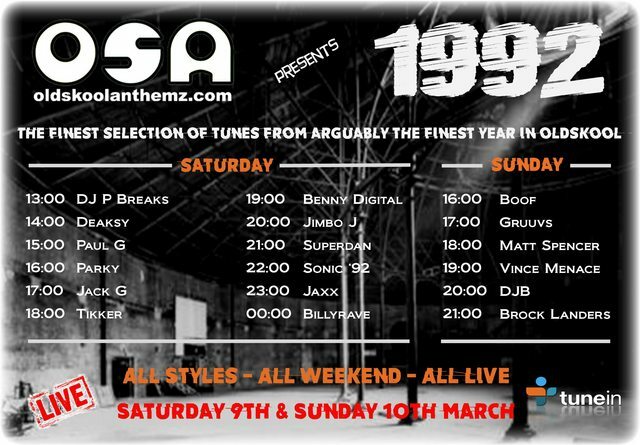 DJ's - get your names down for this - any style/genre as long as it's 1992. 1992 can be re-issues/remixes etc of earlier tunes etc. Last edited by billyrave; 3rd March 2019 at 11:42 AM.